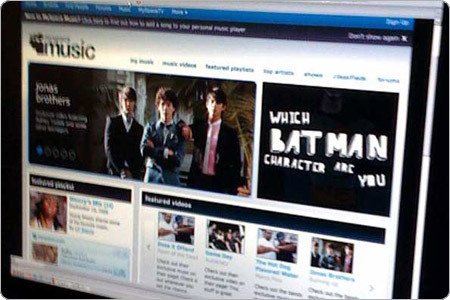 The new service will launch at music.myspace.com but will look completely different than the existing site. Users will be able to stream music for free, create playlists, download music from Amazon, buy merchandise and event tickets, and buy ringtones. I love it. Thanks for the link, Matt.